Twitter Tools: My 8 Favorites and Recommended. To keep me informed of SEO and online marketing news and trends. To connect with other SEOs who would be difficult to connect in other way. To provide value and share through my community of contacts. Now it’s difficult to imagine my day-to-day without Twitter and I would like to thank you by sharing something special with you: The tools that I use to make the most out of Twitter. My favorite management tools are Hootsuite for desktop and tweetbot for the mobile and tablet. 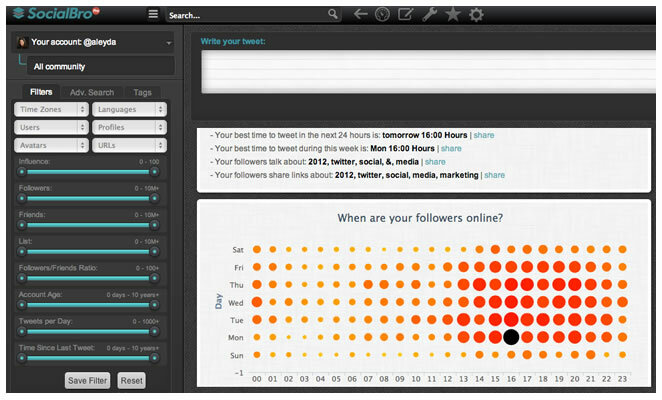 I like Hootsuite because it is Web based, its interface, column visualization and ease to follow hashtags. Tweetbot on the other hand has the best mobile user interface, the capacity to manage multiple users and messages nicely. I use Bit.ly as a shortener for the URLs that I share and want to track despite of the redesign it had some time ago that made it much less intuitive and usable. The truth is that bit.ly has survived as an effective service to see the statistics, volume and origin of clicks while redirecting with a 301. 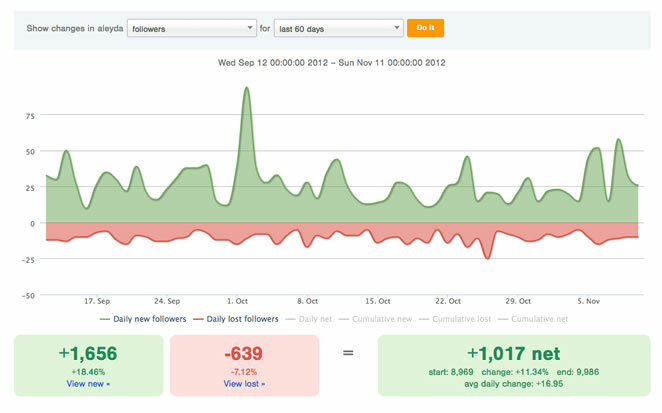 With Topsy, SocialCrawlytics and Favstar I identify the most popular content that I’ve shared. 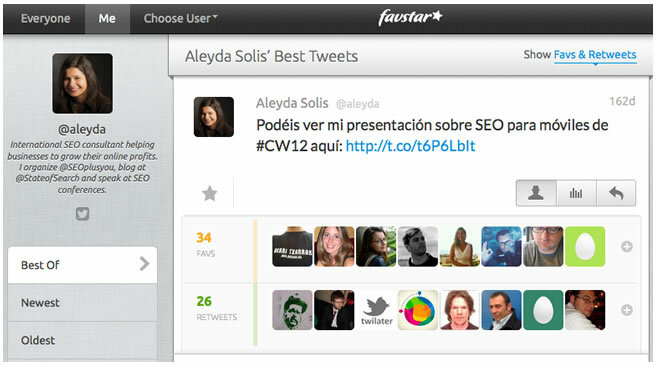 With Favstar for example I know which is my most retwitted and favorited tweet, with Topsy and SocialCrawlytics the popularity of a post that I’ve shared or published. I hope that these tools are as useful for your everyday twitter activities as they’re for me. See you in Twitter!